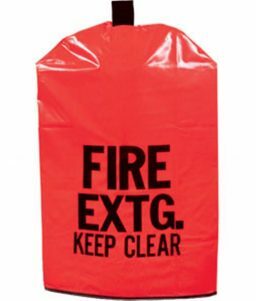 Fire extinguisher covers from OnlineSafetyDepot.com can be used to protect fire extinguishers and contribute to a safe environment that is prepared for fire emergencies. 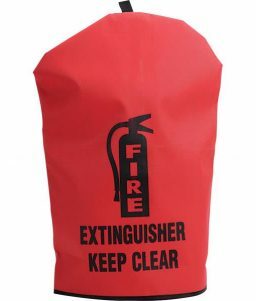 Using the proper fire extinguisher cover for your fire suppression device allows it to last longer and protects it from harmful UV rays, dirt and other debris, and prevents corrosion that can happen when fire extinguishers are exposed to the environment. Our fire extinguisher covers include standard covers for home and light use environments as well as heavy duty covers for industrial settings. 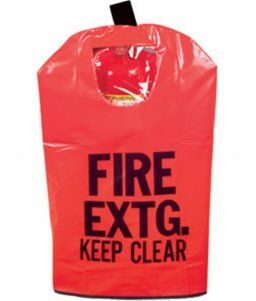 We carry extinguisher covers for handheld extinguishers used in the home as well as many industrial grade heavy duty environments.